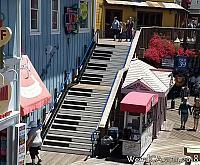 Besides sea lions, Pier 39 in San Francisco also has a flight of musical stairs done up to look like a giant piano. 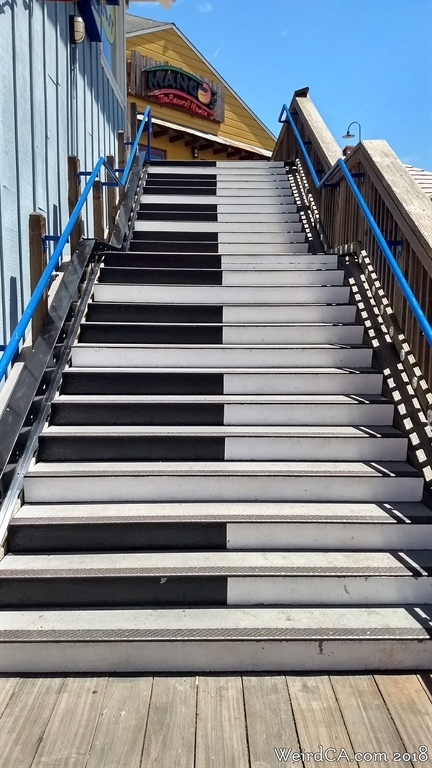 The steps are painted to look like keys and there are speakers set up along one side to play musical notes. Each step plays a different note as you walk up or down the staircase. The interactive exhibit was done by Remo Saraceni, who also created the floor piano that appears in Tom Hanks's movie, Big! 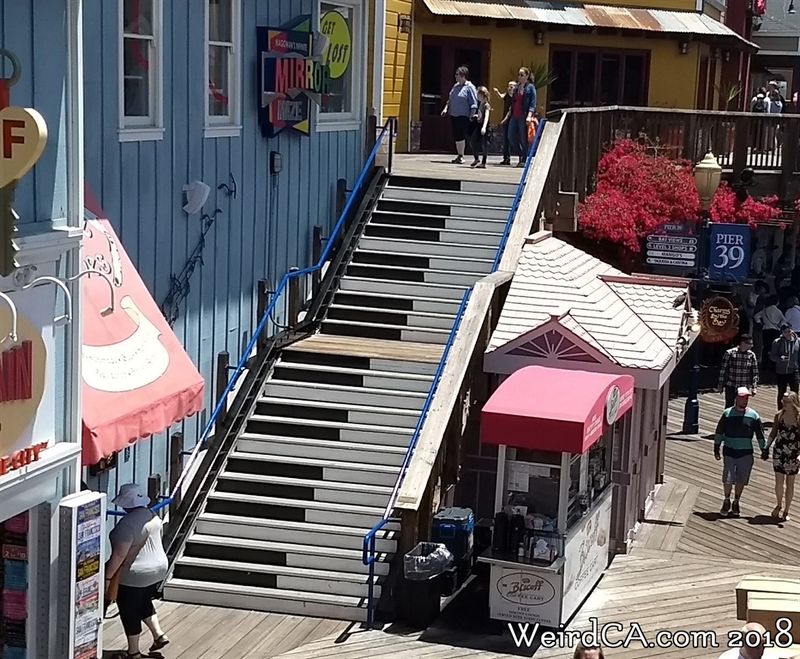 The musical staircase is located in Building O on Pier 39 allowing you to musically move from the first to second floor. If you turn left at the top, you will enter Magowan's Infinite Mirror Maze! 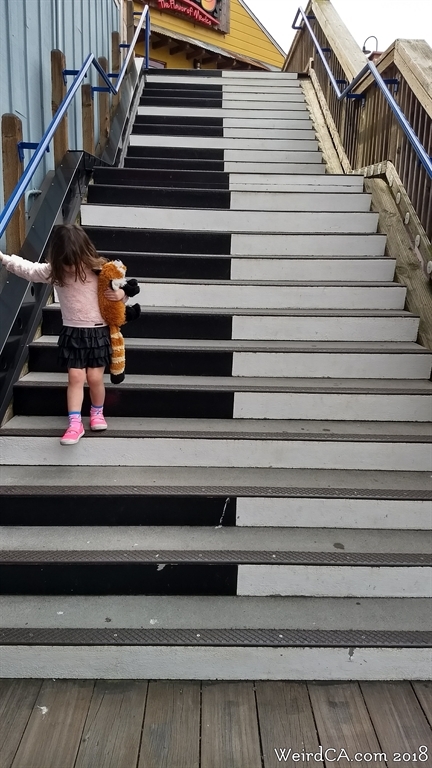 Another piano staircase can be found in Hollywood. It too plays notes for each step. A non playing staircase piano can be found near Sunset Boulevard.